“I’m someone who needs to work super hard at anything athletic or exercise related,” Jorge says. “It’s hard for me to even get the basics right.” In fact, it was partly his frustration with repeated injuries playing pick-up basketball at age 29 that led him to kettlebells in the first place. After starting kettlebell training in Mexico, he realized that he wasn’t aching and wasn’t getting hurt the way he was before. “I became addicted,” he says. Over time, he started helping others train. He liked teaching. And he was good at it. So, when Microsoft offered Jorge a Seattle-area position in 2015, he jumped at the chance to continue his Kettlebility training and moved his life to Seattle. He went on to earn his SFB in 2017 and started teaching at Kettlebility in 2018. He is now training for his SFG2 in 2018. 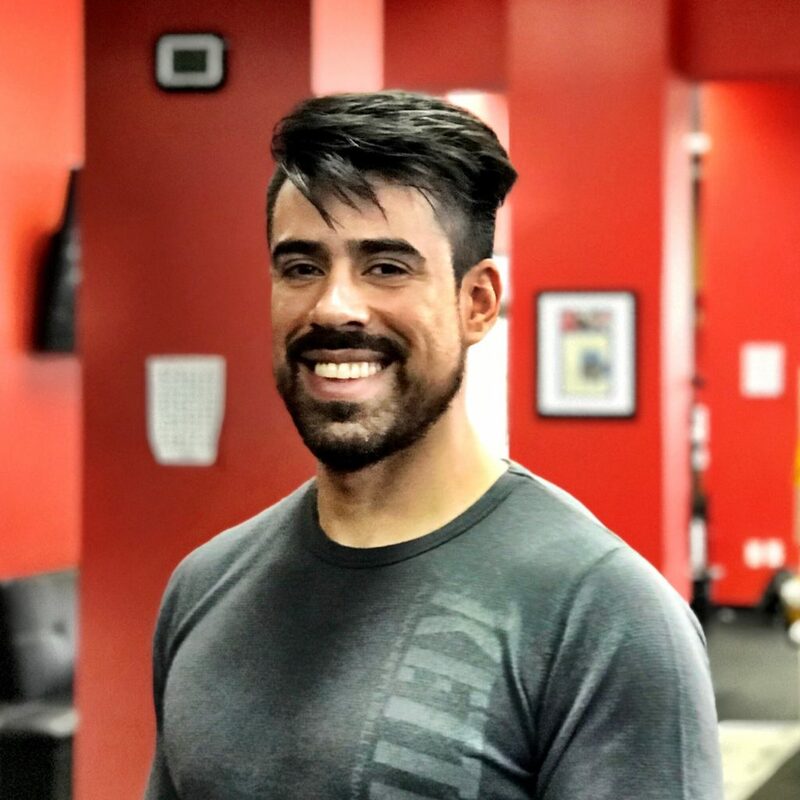 Jorge recalls a kettlebell coach years ago told him: “‘This stuff is going to change your life.’ I thought, well, that’s probably an overstatement.” Turns out, that coach was right all along. Jorge’s certifications include SFG 2, SFB, SFL, FMS I, GFM I, GFMJ. 2. Favorite non-health food you couldn’t live without: IPA beer. It’s like drinking a liquefied loaf of bread–all the gluten you shouldn’t be having in a conveniently drinkable size. 3. Favorite KB technique: The Turkish Getup, not only because of the physical benefits, but it was the movement that introduced me to kettlebells and eventually led me down the (happy) rabbit hole. 4. Proudest moment: When I received my SFG instructor certificate in the mailbox. Yes, it’s hanging on my freezer along with my kindergarten kitten drawings! 5. Who are your heroes? My dad, for sure. 6. What’s on your bucket list? I don’t believe in having bucket lists. Having said that, I’d love to become a Beast Tamer and achieve the Sinister Goal before I turn 40. 7. Your mantra? There is no finish line. Beating the competition is relatively easy; beating yourself is a never-ending commitment.